The United States and Mexico share nearly 2000 miles of common border. Nearly 10 million people live along this border. As estimated 300 billion dollars worth of goods flow across the border between the two nations, mostly through the 25 ports of entry. 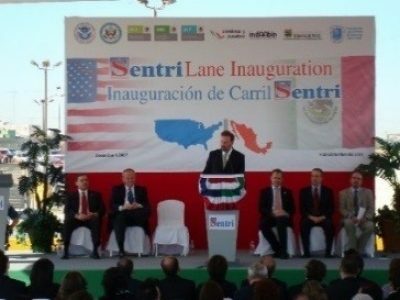 Everyday, close to 1,000,000 people enter US from Mexico through the various ports of entry. Most of these people return to Mexico after work or visit along the border towns and use special laser Visas to cross. 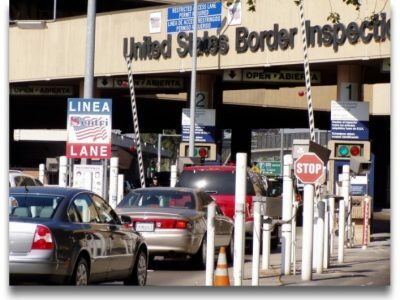 The growing cross border traffic not only causes excessive congestion and delay, but also poses security problems for Customs and Border Protection (CBP) agents. The long lines of traffic and excessive delay situation has worsened because of increased inspection in the wake of 9/11.